Our Chamber is the leading voice in the business community in and around Ste. Genevieve, and we want you to be a part of it! Last year was our best year yet with over 20 businesses joining as new members, 13 ribbon cuttings for new businesses and our most successful Summer Music Series to date. With your help we can build on the momentum from 2017, and make 2018 even better. Every business that joins us makes us a stronger chamber for Ste. Genevieve. And aside from helping your community, joining the chamber has many benefits for its members, too. Keep reading to see the perks of being a Ste. Genevieve Chamber member. We’ve partnered up with Ste. Genevieve High School to offer computer training courses to our members including classes in Photoshop, Microsoft Excel and Microsoft Word. We also plan to launch a brand new program called Leadership Ste. Genevieve in 2019 that will help expose current and rising leaders to all industries in our area so we can lead more holistically and collaboratively. Quite a few members have also told us that they’re interested in webinars, so we are additionally brainstorming ways to implement online learning sessions that you could watch from your desk. Expanding your reach and circle of influence can greatly impact the success of your business as well as your feelings of personal significance and happiness. Our chamber provides ample opportunities to get to know others in our business community through quarterly membership meetings, Business After Hours, our Annual Gala and recreational events like our Annual Golf Tournament and the Summer Music Series. 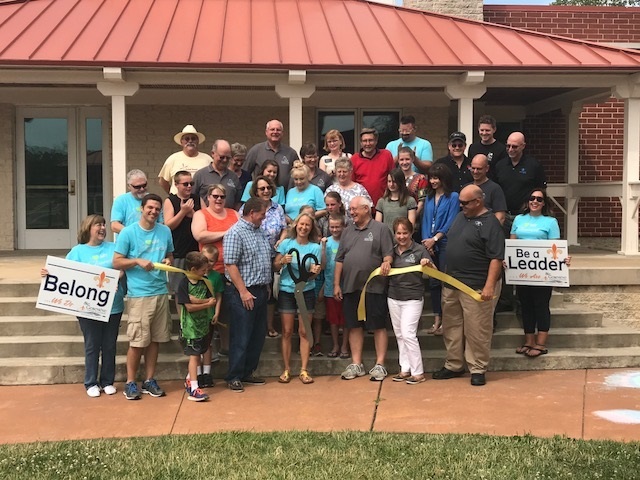 We also proactively offer facility site tours, ribbon cuttings and open houses to encourage members to learn about each other’s businesses and support one another. All this networking will undoubtedly increase the visibility of your organization. We also offer free advertising to members in our monthly newsletter and a free interactive profile on our online chamber directory on this website. Plus, if you have something you want to share with the business community the chamber provides the platform for your voice to be heard, and we pro-actively advocate on your behalf. Networking and sharing your voice can not only lead to fruitful collaboration for your business but also gives you the opportunity to plug into collaborative efforts to propel the progress of our community, which benefits everyone living and working here. We have strong partnerships with our city, county and tourism leaders that amplify these opportunities and we work directly with the Industrial Development Corporation to encourage economic growth and bring new businesses to our area. No matter how much you choose to get involved, joining the Chamber undoubtedly gives your business credibility. We’re a well-respected hub of the community and joining our efforts gives you klout. You may also get referrals directly from our office because we send daily business to chamber members when people ask us where to go for services. I am opening Bloomsdale Yoga above Midwest Marketing in Bloomsdale On January 7, 2019. I would like to join the Ste Genevieve Chamber of Commerce. I’d be happy to send you some information, or we can meet in person. Your preference. I will email you the membership application and we can go from there.